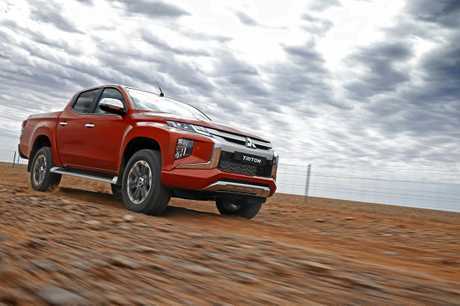 CHISELLED brawn and family-focused safety kit have been added to an upgraded Mitsubishi Triton which will arrive in January. 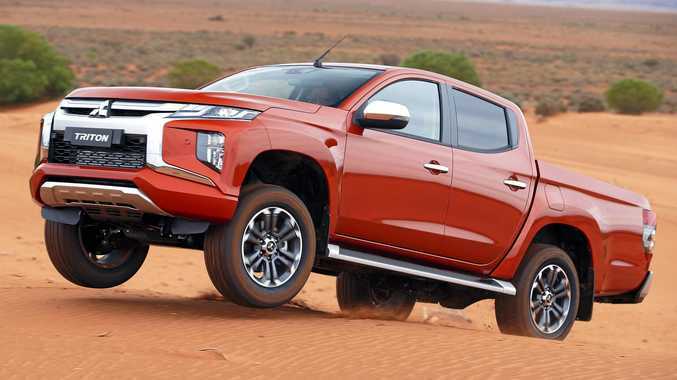 Australia's third most popular ute - behind the Toyota HiLux and Ford Ranger - has been to the gym for a macho makeover ahead of 2019. Unveiled globally in Bangkok yesterday, the new Triton is billed as "ultimate sport utility truck" with a tougher appearance and a bolder grille, including the corporate "dynamic shield" face seen previously on the Pajero Sport and stronger profile lines. 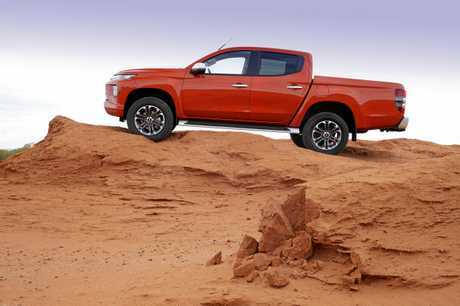 While retaining carry-over architecture with tweaked 2.4-litre turbo diesel and petrol engines, the Triton will dramatically improve its safety performance with features comparative to the Ranger and Mercedes-Benz X-Class or go beyond other rivals including the VW Amarok, HiLux and Nissan Navara. Among the new additions available will be autonomous emergency braking that operates at "low and medium" speeds. Using camera and laser radar systems, if a vehicle or pedestrian is detected ahead an audible beep warns of a frontal collision. If the driver then fails to react, the brakes are applied automatically. Blind spot warning, around view camera and rear cross traffic alert have also be added to the safety repertoire, along with a segment first "Ultrasonic Misacceleration Mitigation System". Designed to stop pedal confusion or accidental use of the throttle, it uses cameras and sensors to reduce engine power under hard acceleration when setting off in forward or reverse. 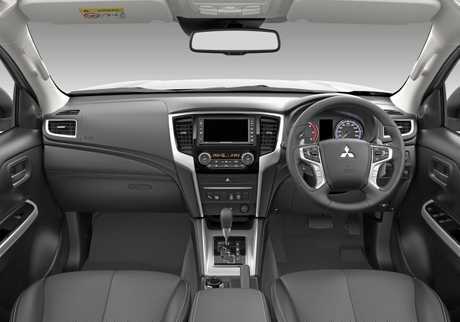 Inside, and on higher specification models there are more car-like conveniences with extra soft-touch double stitched materials along with a darker colour scheme with extra silver garnishes. Creature comforts have been improved with the family in mind in the back seat, where there is a USB charging socket and aircon vents. 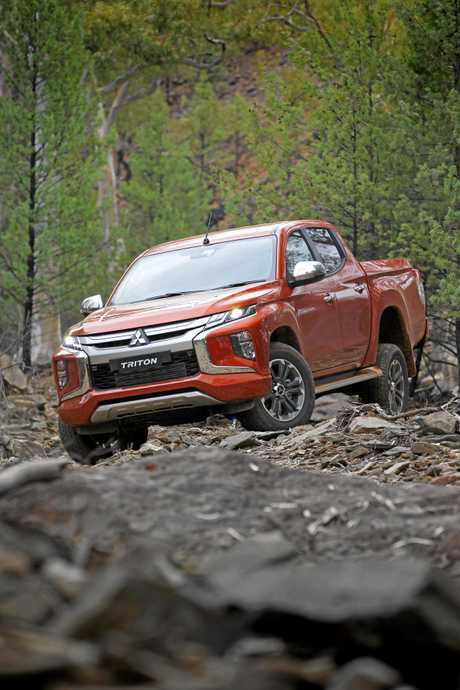 2019 Mitsubishi Triton revealed: Mitsubishi today took the wraps off its 2019 model Triton. High-end models will have a 6.1-inch touchscreen with Apple CarPlay and Android Auto compatibility. The new look is sure to widen the Triton's appeal, it's recent popularity has largely been strong due to aggressive pricing - the base GLX manual is currently available for $32,990 drive-away. Maintaining its J-line design between the cabin and tray, most of the sheetmetal has been overhauled. In profile a pronounced crease runs from the front to rear, at the front fog lamps sitting higher on a grille where there is extra use of chrome, while rearward the tail-lights no longer stretch toward the cab and are instead bold and square. The Triton looks more robust from every angle. 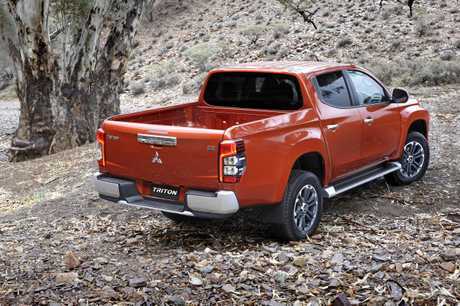 Mitsubishi chief operating officer Trevor Mann said the mid-life update was "significant" with more than 2400 changes. "When you look at the general market trends they are going for the tough and durable image," he said. "The previous generation had its time. That was the market trend and it was different at the time from most of the other pick-ups so it wasn't a 'me too'." 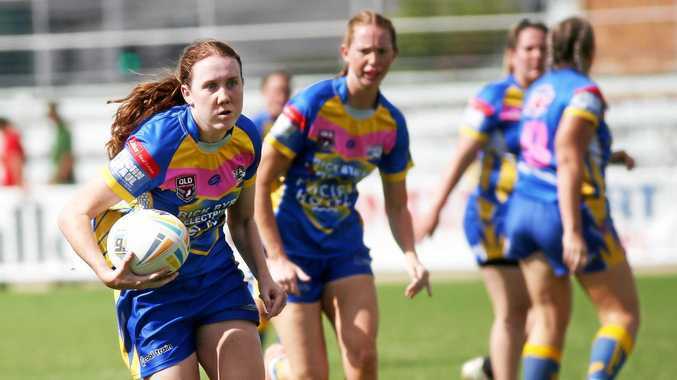 Australia's Mitsubishi team played a key role in the development, with a vast testing program undertaken Down Under. Behind Thailand, Australia is Mitsubishi's second biggest market for Triton, followed by Indonesia, Chile and the United Kingdom. Collectively those five markets make up more than half of all Triton global sales. Engineers have introduced a six-speed automatic to partner the turbo-diesel, replacing the old five ratio unit, while the engine weight has been reduced with the use of a die cast aluminium cylinder block. Full details on whether the braked towing capacity of 3.1 tonne has been improved on 4x4 models (3 tonne on single and club cab), or whether the gross combination mass rating of 5.885 tonnes has altered. Fuel efficiency is said to be marginally better with the new auto transmission, as is the turning circle. Ride performance is also claimed to improve, courtesy of bigger rear dampers and more damper oil - but it's the same double wishbone front and leaf spring rear suspension set-up. 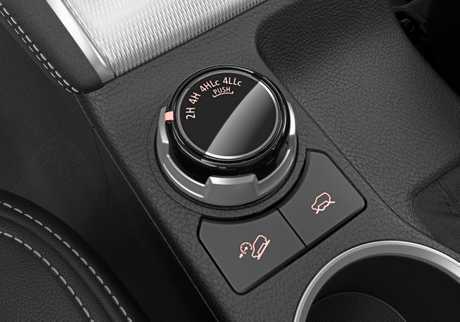 Hill descent control, and an off-road selector that enables the driver to choose between gravel, mud/snow, sand and rock modes are other new additions. Pricing and full specification details will be made available in December. Some models are expected to land before Christmas, with the bulk of new Tritons landing around New Year. Colour choices will include two white hues, grey, orange, red, silver, black, blue and brown. Three body style options will be maintained, single cab, extended club cab and double cab. PRICING To be announced in December. ENGINES Carry-over 2.4-litre 133kW/430Nm 4cyl turbo diesel with a six-speed manual or a new six-speed automatic transmission option; 2.4-litre 4cyl 94kw/194Nm petrol engine mated to a five-speed manual. NEW ADDITIONS Four-wheel drive variants to have off-road selector that enables the driver to choose between gravel, mud/snow, sand and rock.